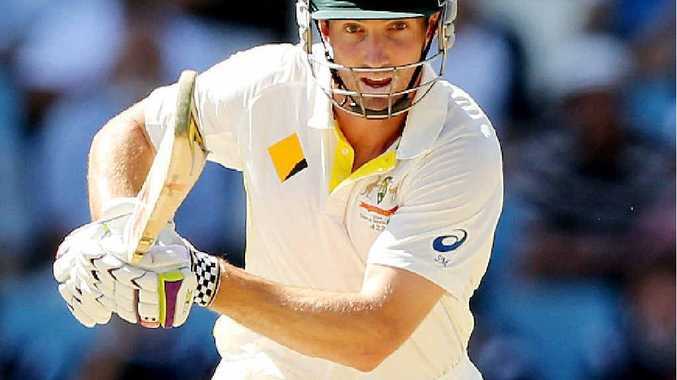 SHAUN Marsh has given the Australian selectors much to ponder before the second Test against South Africa starts in Port Elizabeth next week. The hard-hitting batsman, 30, made a swashbuckling return to Test cricket with a century on Wednesday night, resurrecting Australia's first innings with the help of Steve Smith. Marsh, who only arrived in South Africa on Sunday night after the withdrawal of Shane Watson through injury, has not played a Test since a poor tour of India at the end of 2011. Injury woes of his own and indifferent form kept him out of the side, but an impressive Twenty20 season offered him a chance he will not easily give up. But with debutant Alex Doolan seemingly the selectors' pick for the No.3 spot and Watson looking likely to return, as a batsman at least, there may be a scramble to find a spot for Marsh. Smith paid tribute to his reborn teammate. "It took me a good week to get over it (jetlag), and he's only been here for three days," Smith said. "The way he played was sensational. He waited beautifully, and when they got into his areas he really capitalised on it and showed great maturity."